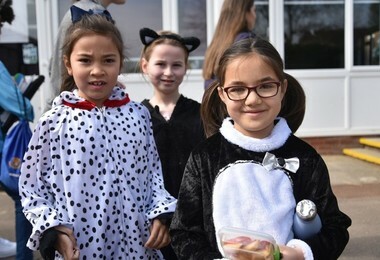 On Thursday 28th March Prep School pupils came together for Prefects' Charity Day to raise as much money as possible for their chosen charities of the year, Guide Dogs for the Blind and the CATS (Children and Teen Support) team at Isabel Hospice. 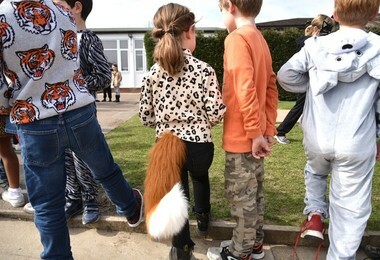 In celebration of the two charities, pupils came in dressed up as cats and dogs, so the Prep School was transformed for the day! 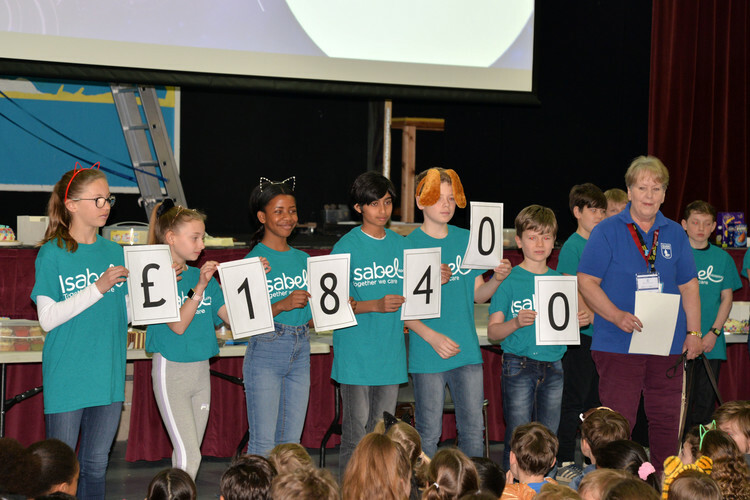 In morning assembly, pupils were joined by representatives from the two charities, Alyson from Guide Dogs and Tracie from the Isabel Hospice CATS team, who talked about the work of their respective charities in the local community. Both Alyson and Tracie thanked the pupils and prefects for their enthusiasm and commitment to all the fundraising activities organised throughout the year. Alyson was presented with a cheque for £1,500, the Prep School's annual contribution to the Guide Dogs, while the Prefects revealed that, over the last five years, the Prep School have raised more than £18,400 for Guide Dogs for the Blind, a staggering amount! Pupils also gave Tracie a huge box of craft materials to use with young people in her youth groups. Prep School pupils were also thrilled to hear the result of the vote to name their new new guide dog puppies: DJ is the name of the new Shell puppy, while Elmo is the name of the new Form 1-Upper Third puppy. 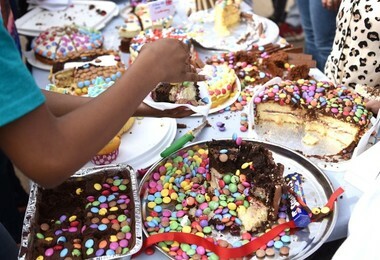 Another part of Spring Charity Day was the Smartie Cake Competition for pupils from Shell, Form 1 and Form 2, which resulted in a stunning array of cakes being brought in. 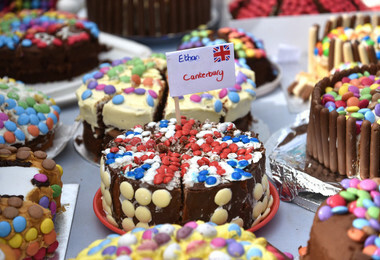 It was quite a challenge for the judges to select the winners and runners-up for each year group. 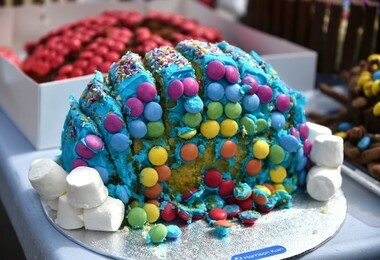 Sold throughout the day, the cakes raised an amazing £680! 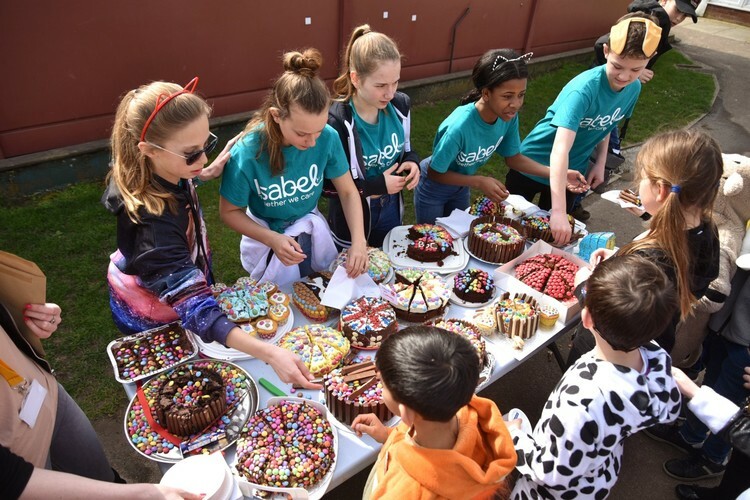 All in all, Spring Charity Day raised more than £1400 for the two charities, so thank you to everyone who helped make this such a special day. 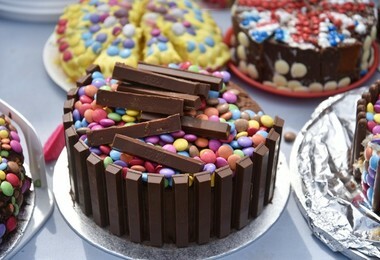 For the next Charity Day on 20th June, Lower and Upper Third will be asked to bring in cakes on the theme of 'Sunshine & Sunflowers' for the final cake competition of the year. There will also be a 'Grow The Tallest Sunflower' Competition, kindly sponsored by Van Hage.